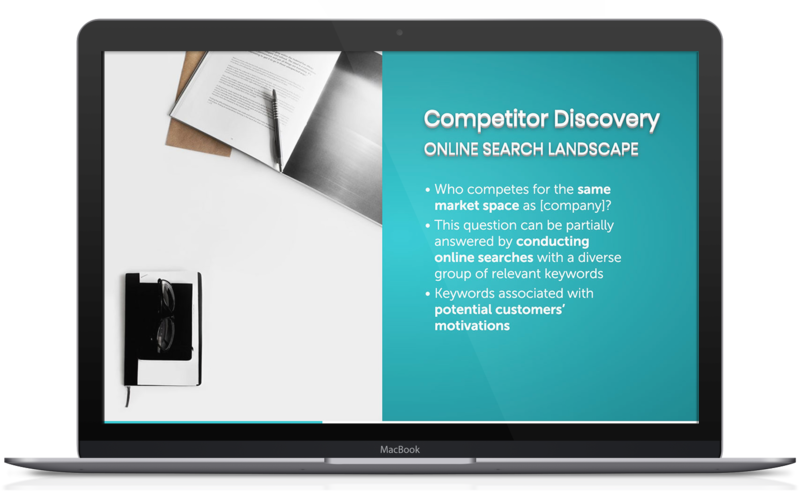 A competitor analysis is a helpful tool to take a more in-depth look at the landscape of your market. 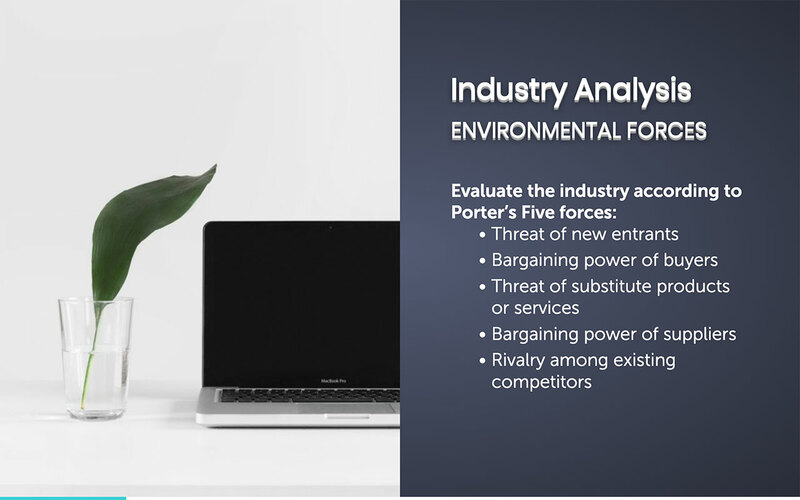 Comparing your company or service with others will help your team to make a better strategy, deliver a more efficient plan business growth and have a clearer vision of the upcoming events in your organization. Make sure to define what exactly will you be comparing and whether or not this information is available to the public. Social media and online tools will be of great help when gathering all the information necessary. 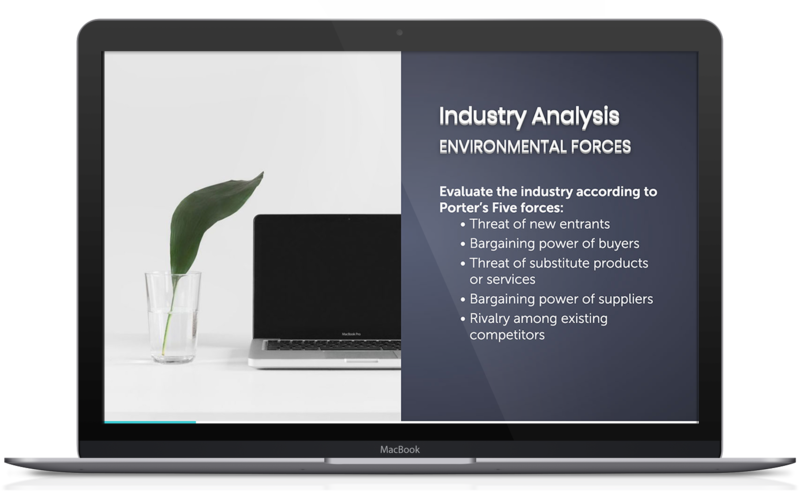 Stay up to date with the existing and new tools to get all the data that you need. 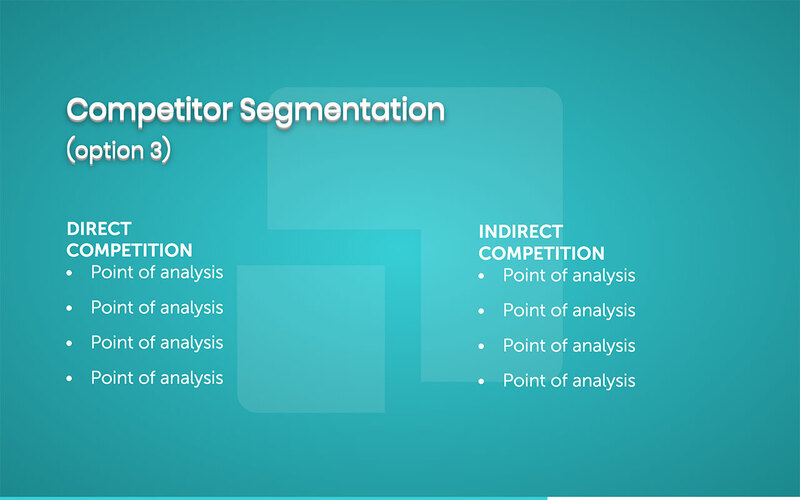 A competitor analysis needs to be adapted to its audience. You will not use the same words or terms if it is directed to your team members or if it is for potential investors. Some viewers will have a better understanding of certain terms than others. 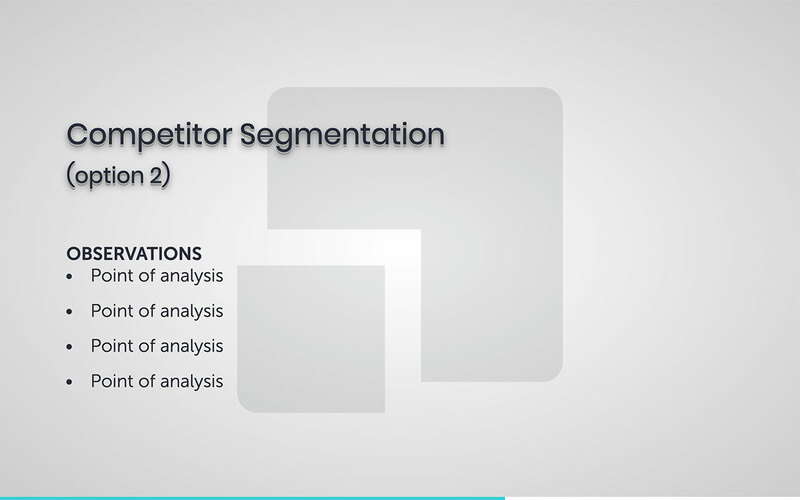 So before starting, make sure you define how you are going to talk, which language and style will be employed to analyze your competition and strategy. 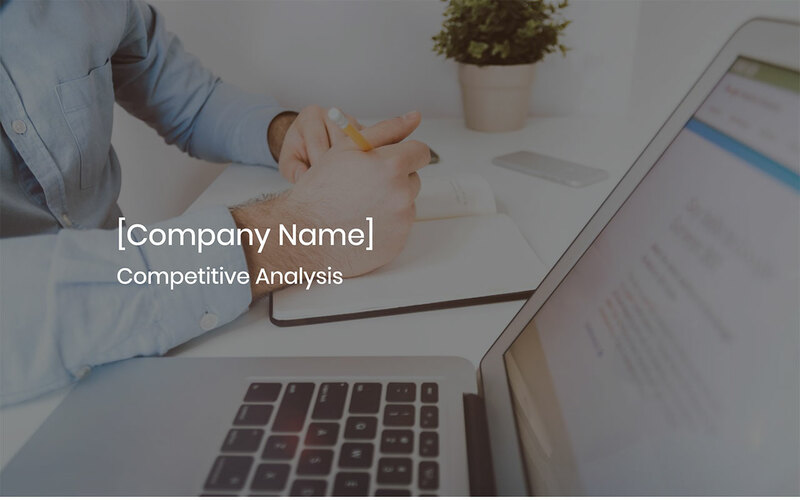 This will visually display the other companies in your competitor analysis template, and it will make it easier for your viewers to identify them. Here’s where social media will be your best companion. 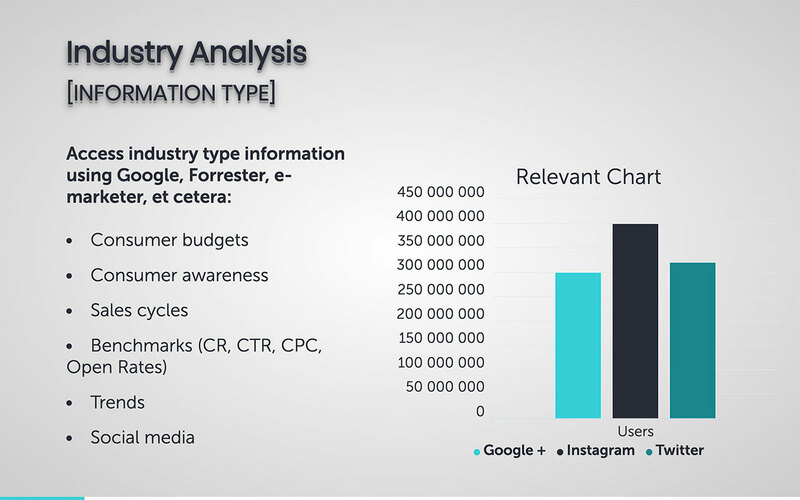 Most relevant companies are on Linkedin, where you’ll find data like quantity of employees, names and background of high-level executives, and company growth. 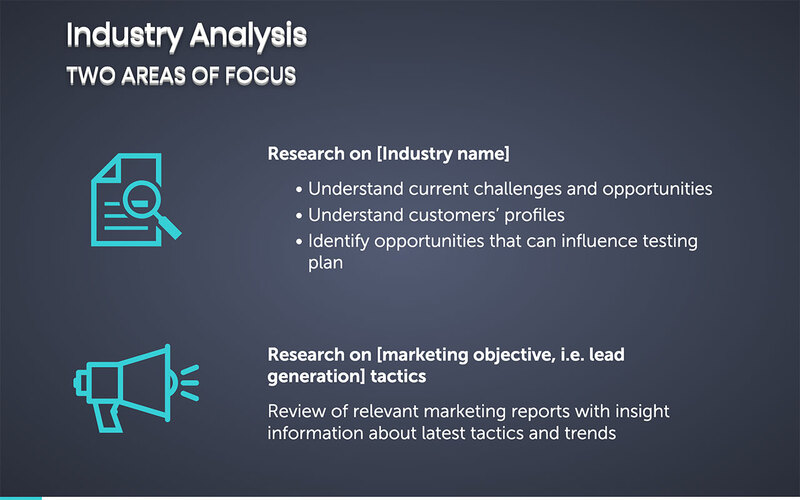 Pay attention to their advertising strategy and find out who exactly they are addressing. 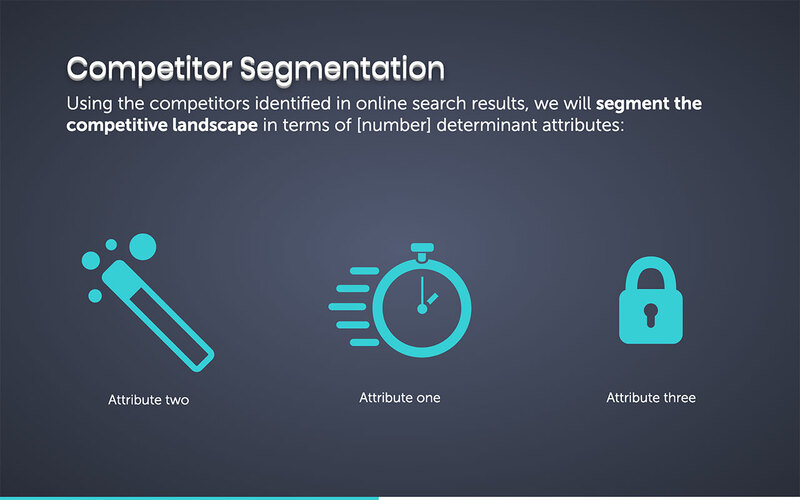 If possible, take some time to create their customer persona profiles. 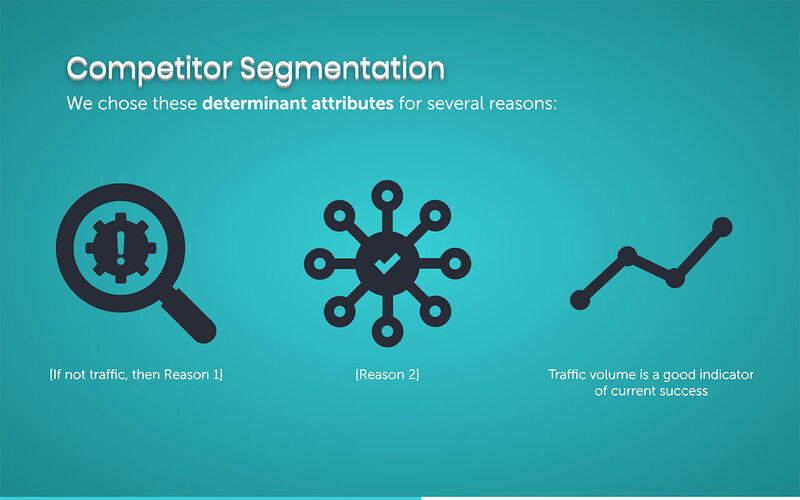 Having this information at hand will allow you to determine if you and your competitor are going after the same audience. If this is the case, prepare to convince them to choose you over them! 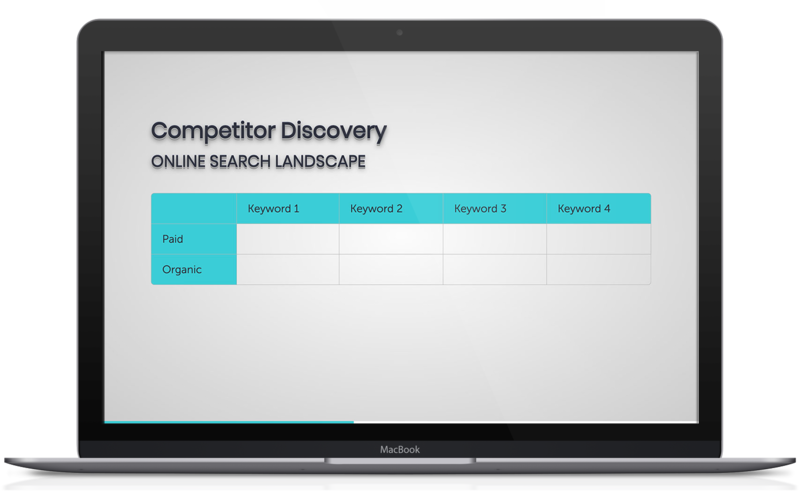 take some time to analyze and sort all the social media channels of your competition. Understand their tone and reach. Learn how people are responding to their message. These steps will aid in creating your voice: it should be original and compelling to stand out from other companies. 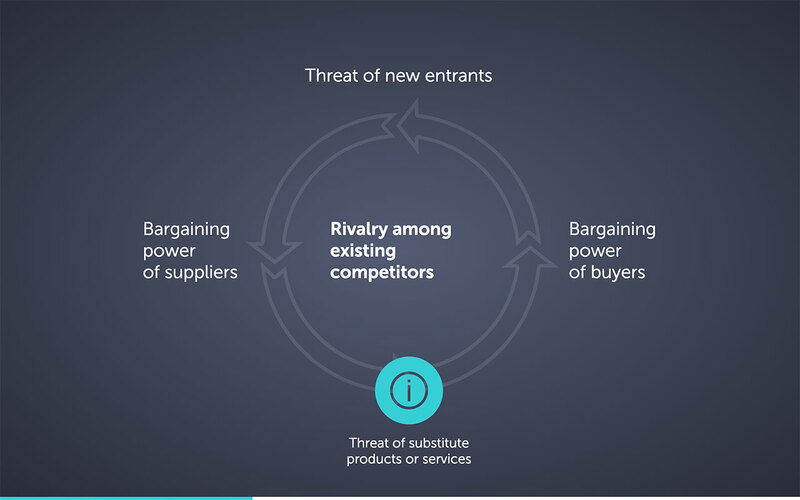 What is your competition doing right? What are they doing wrong? Gather all public comments and interactions on social media. If there’s a way you can communicate with their customers (discretely), do it. Learn from what someone already did wrong and don’t repeat. Learn what they did right, and replicate it. 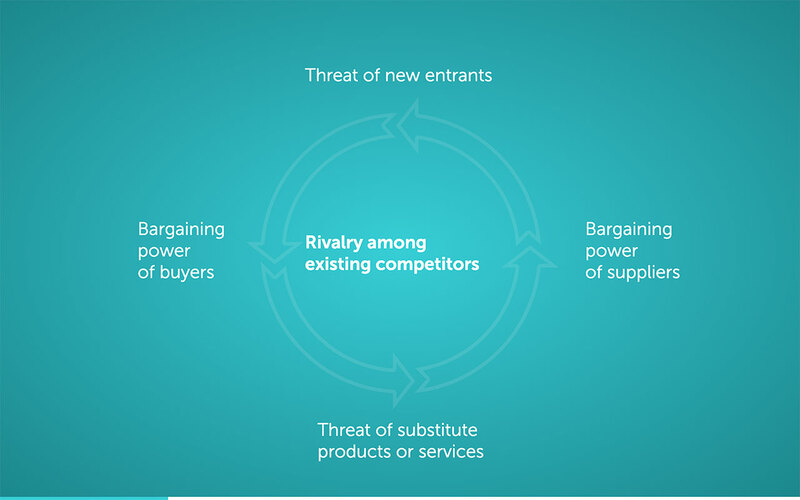 If they are your direct competition, you both will probably share the same opportunities and threats. Once their opportunities are clear for you, you can create a strategy to win them over. 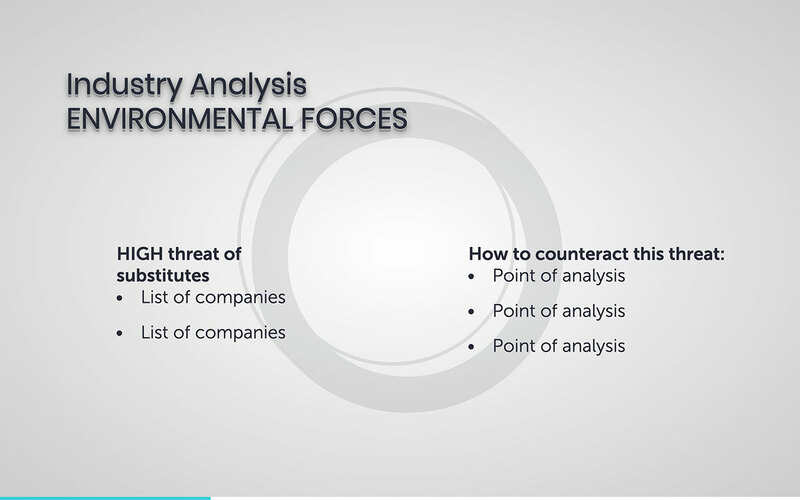 Analyze if their threats are also threats to you or if you can turn them into opportunities for your company. Have they recently lost an audience that you can conquer by offering something better? Go for it! 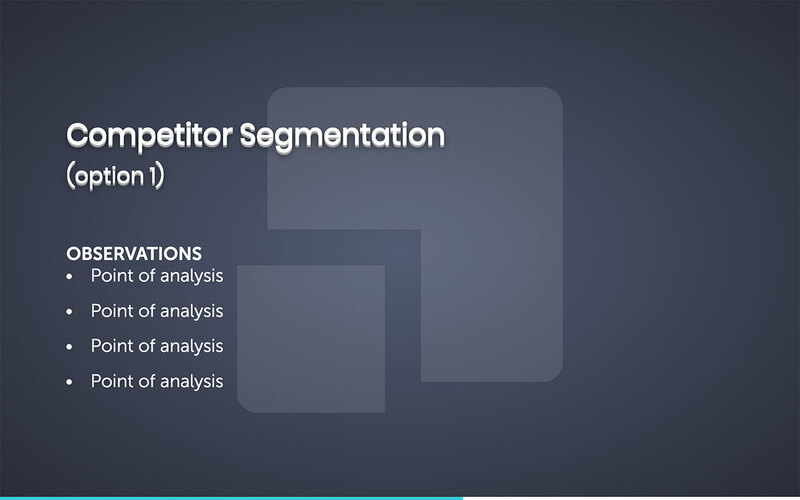 When should I work with my competitor analysis template? Constantly! 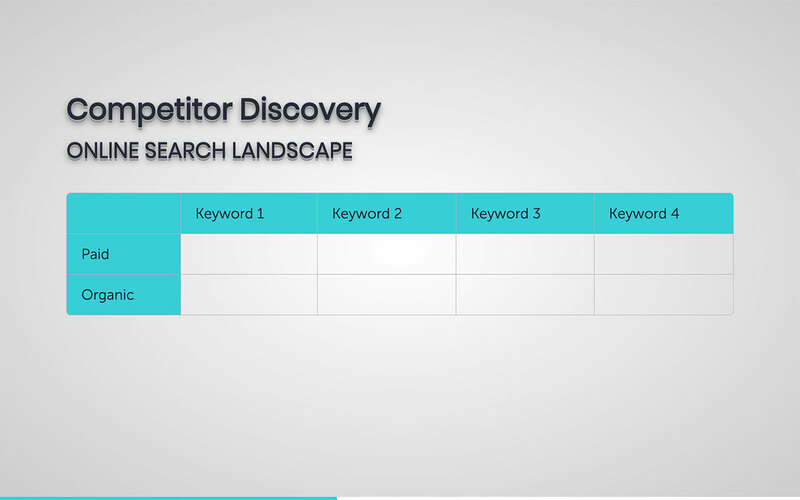 This competitor analysis template will be handy in many stages of your company’s growth, and it has to be frequently updated. The external and internal factors of your company and your competitor will always be changing. 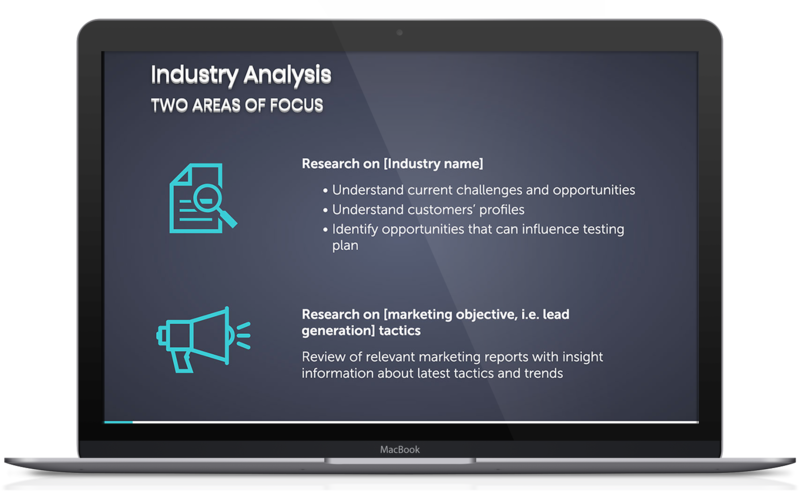 Stay up to date on your strategy and your competition’s. 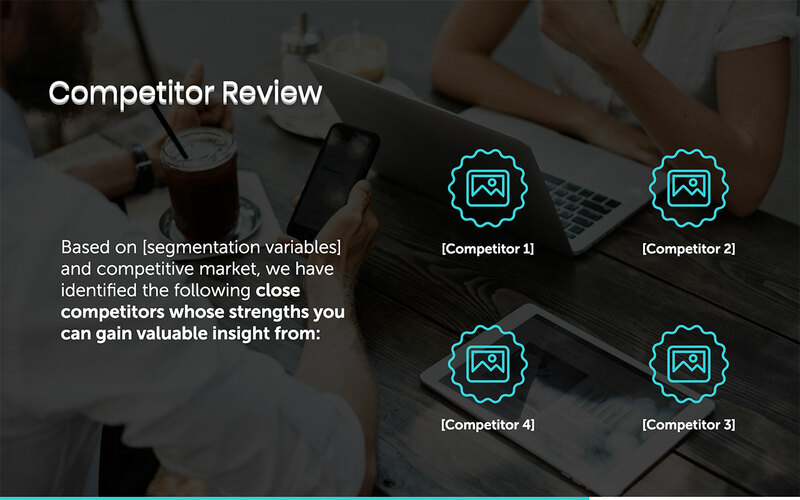 There will still be concealed data that you won’t have access to, of course, but do your best to know your competitor and their upcoming decisions. Try to keep up with new ways to learn more about them: Linkedin, Twitter, Yahoo Finance, Wikipedia, among many others. 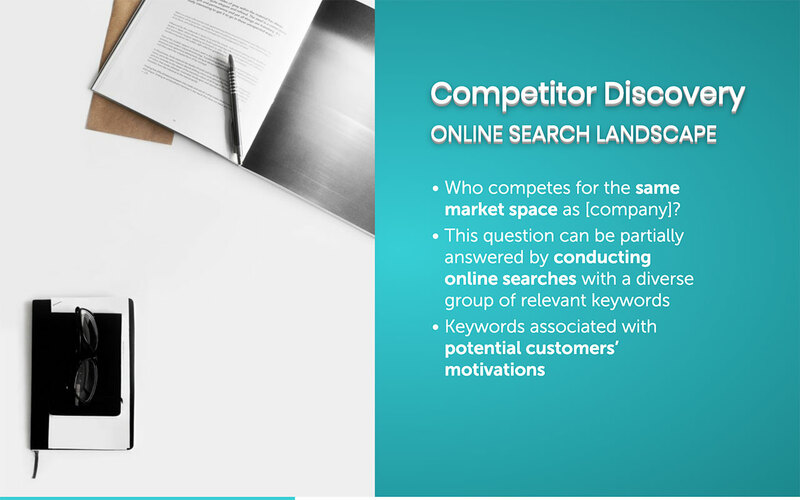 Use and complete a competitor analysis to define your value proposition and general goals to achieve.